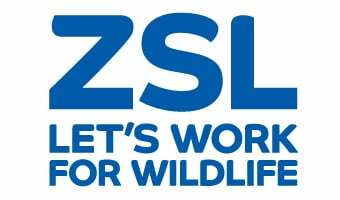 The Erasmus Darwin Barlow Conservation programme aims to attract and nurture zoologists and conservationists of the future by funding two places for students or early career conservationists to join a ZSL EDGE of Existence expedition. Applications are now closed for ZSL's 2018 Erasmus Darwin Barlow Conservation Expedition. We are looking for passionate, ambitious individuals, wishing to pursue a career in conservation. We will be accepting applications from students and early career conservationists with less than two years’ work experience, and are looking for individuals that would not otherwise be able to take part in a conservation research expedition. The expedition will visit the location of one or more EDGE (Evolutionarily Distinct and Globally Endangered) species, to obtain information on the ecology of the species and contribute to their long term survival through establishing collaboration with local experts. The proposed location for the 2018 expedition will be Cuba; the final location of the expedition will be confirmed in early 2018. We propose that the expedition will focus on the Cuban solenodon (Solenodon cubanus), the Cuban greater funnel-eared bat (Natalus primus) and potentially the San Felipe hutia (Mesocapromys sanfelipensis). We will be working with local conservation organisations to obtain relevant ecological and social information on the species and their habitats. Note: ZSL reserves the right to alter the objectives and destination of the expedition if required to ensure the successful completion of the expedition and safety of all participants. These awards are a tribute to the late Dr Erasmus Barlow, a Founder Fellow of the Society and also remembered at ZSL for his contribution to the Society in his role as Secretary from 1980 to 1982. ZSL’s EDGE of Existence programme highlights and conserves one-of-a-kind species that are on the verge of extinction by safeguarding those that are Evolutionarily Distinct and Globally Endangered.